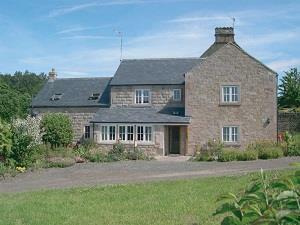 Pear Tree Farm Holidays01629 534215work Self-cateringPear Tree Farm is a traditional-style house. We have nine bedrooms. All rooms are en-suite with T.V & video player, towels, alarm clocks, hairdryer and drinks tray provided. Two rooms are located on the ground floor and are suitable for wheelchair access. The property is situated within the beautiful Amber Valley and nestled in the heart of Derbyshire. We are located on the edge of the Peak District and Derbyshire Dales and just 10 minutes away from the hugely popular Matlock Bath. Pear Tree Farm is within the Derwent Valley World Heritage designation and is mentioned in the literature as being a 17th century corn mill in connection with Florence Nightingale's family. The local landscape is steeped in history with picturesque countryside as well as stately homes, museums and art galleries all a short drive away. Our rural location means that we have nature on our doorstep as foxes, badgers, kingfishers and watervoles have all made their home around Pear Tree Farm.